Our upcoming competitive hero sports game Steel Circus made an appearance at two game conventions GDC and EGX Rezzed 2019 over the course of the past month. 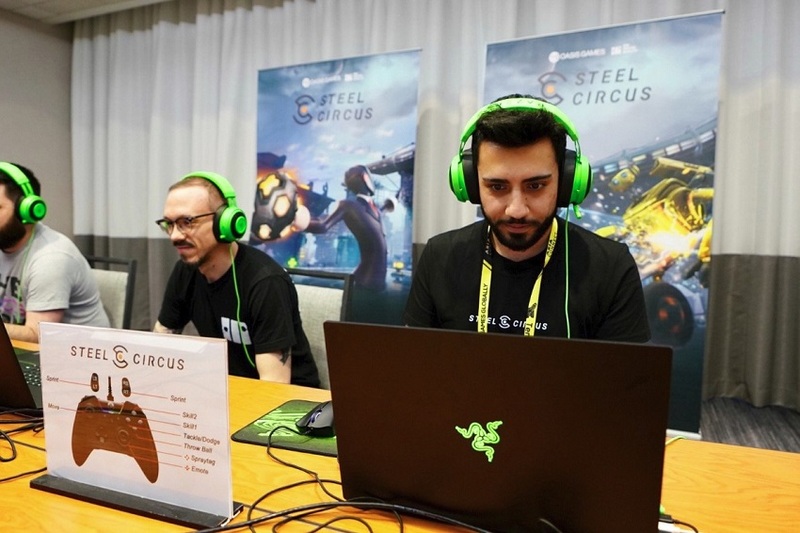 For this year’s GDC, we hosted an exclusive Steel Circus media session over the two days of March 20th – 21st where we showcased a playable demo of Steel Circus to media partners and industry peers. Members from Gamereactor, Gamesindustrybiz, Twitch, PC Invasion, PCGamesN, and more tried out the game for the first time in our media suite and chatted with the team about the concept, creative inspirations, gameplay, and future plans for the game. 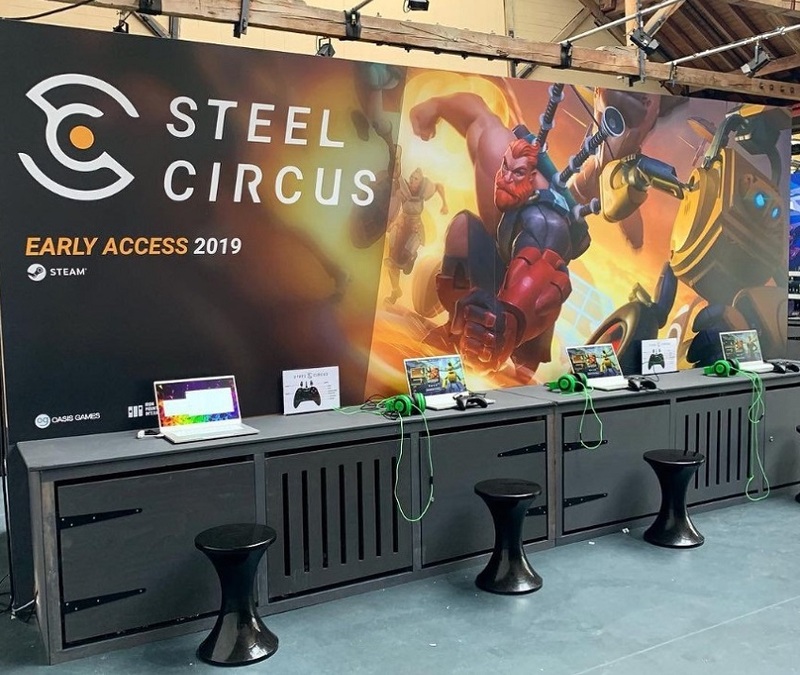 Shortly after GDC, Steel Circus made its first official public showing at EGX Rezzed in London where the game was made available for hands-on play over the three days from April 4-6, in Booth GGAB on the second floor of the Tobacco Dock. Hundreds of gamers were able to jump into 3v3 Steel Circus matches at a game show for the first time, while also having the chance to win game goodies such as stickers, posters, and T-shirts. 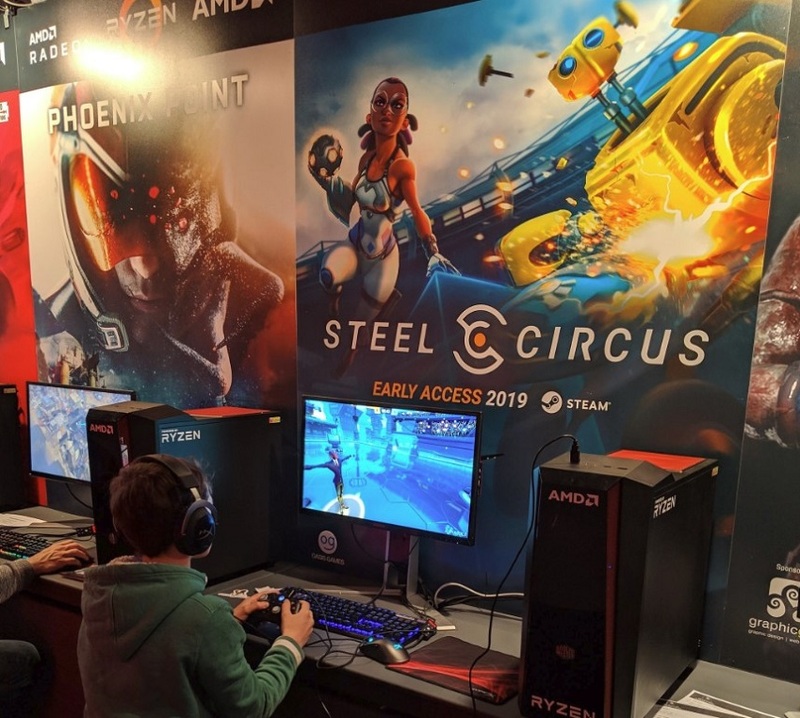 Additionally, thanks to the wonderful team over at AMD Gaming, Steel Circus was also displayed at the AMD Indies room alongside 9 other games at EGX Rezzed! 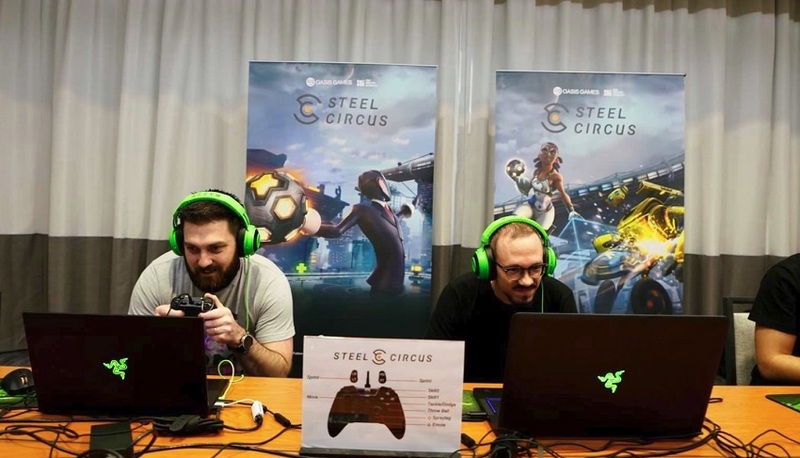 The game was received positively by many players who expressed their interest in Steel Circus and said they would definitely be keeping an eye on the game. Currently, Steel Circus is still in its alpha testing stage with three rounds of testings already completed, and more rounds to come very soon. Please stay tuned for more news on the game’s development, and we look forward to bringing Steel Circus to more game conventions near you this year!